Black Onyx Cufflinks featuring an heraldic wolf design engraved by hand intaglio to the natural stone. 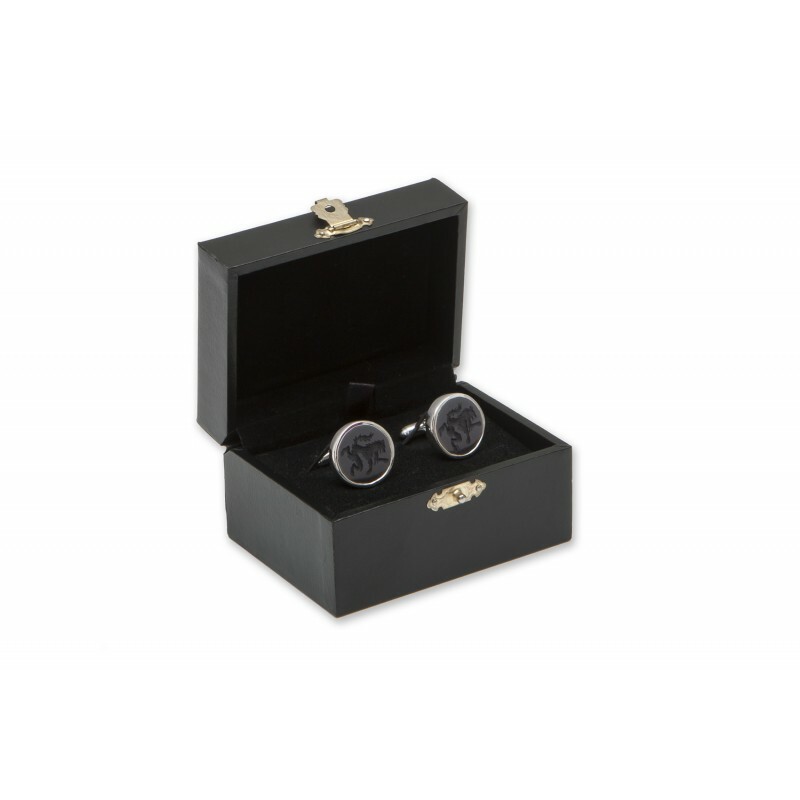 This superb pair of black onyx cufflinks consist of two well crafted top quality black onyx roundels cut from the same rock, a wonderful color. 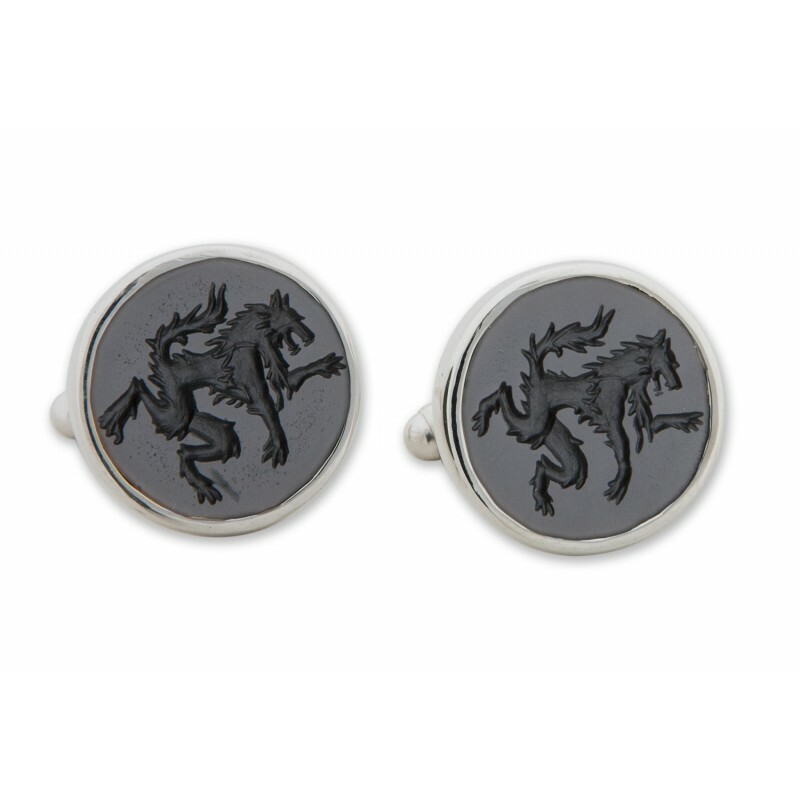 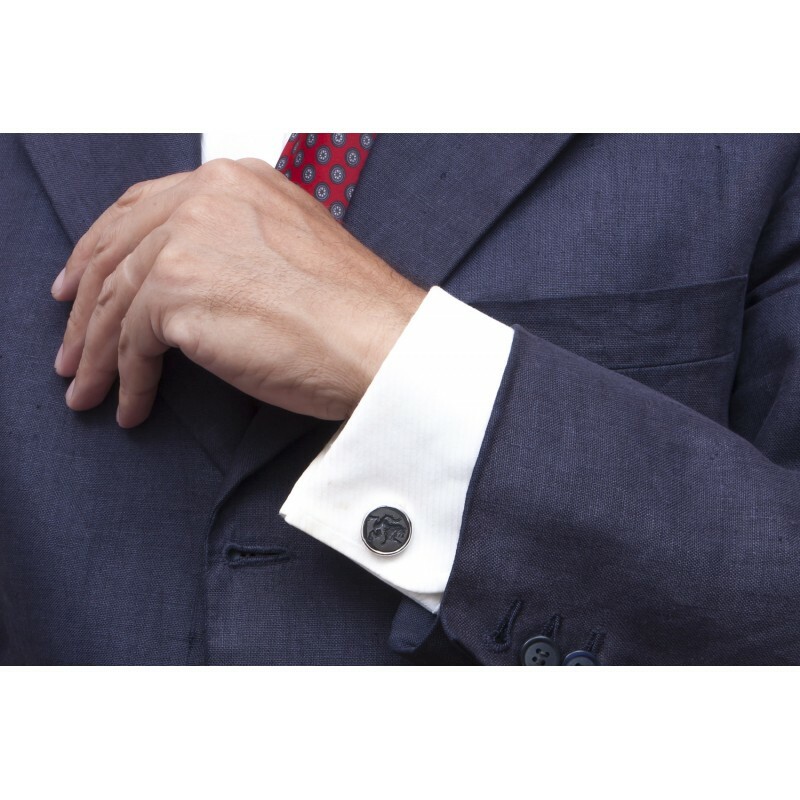 The hand engraved intaglio heraldic wolf displays beautifully to create these distinguished cufflinks. 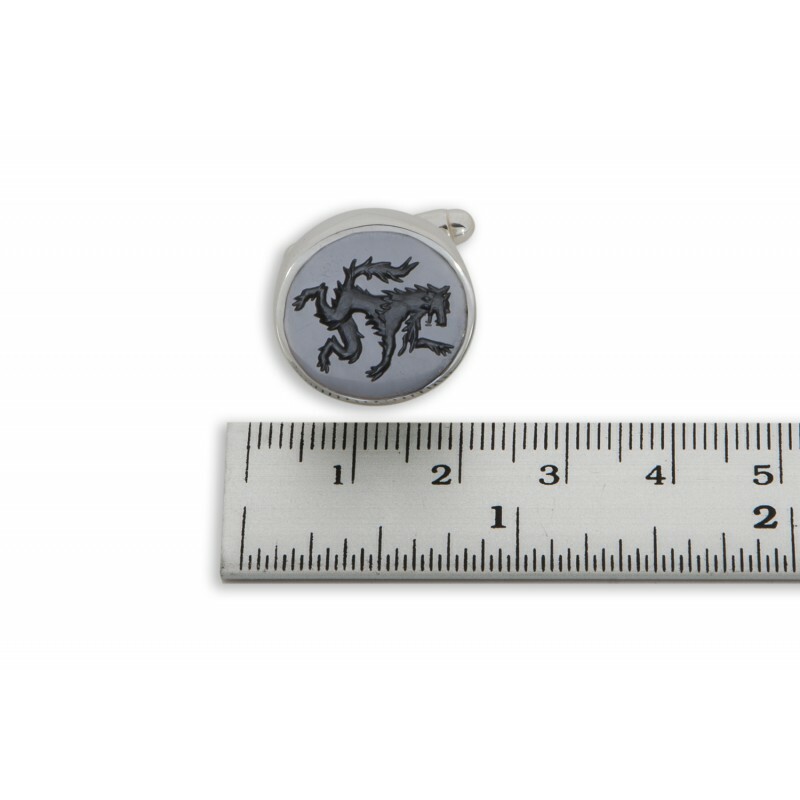 Size: 18 x 18 (11/16 x 11/16 inch). 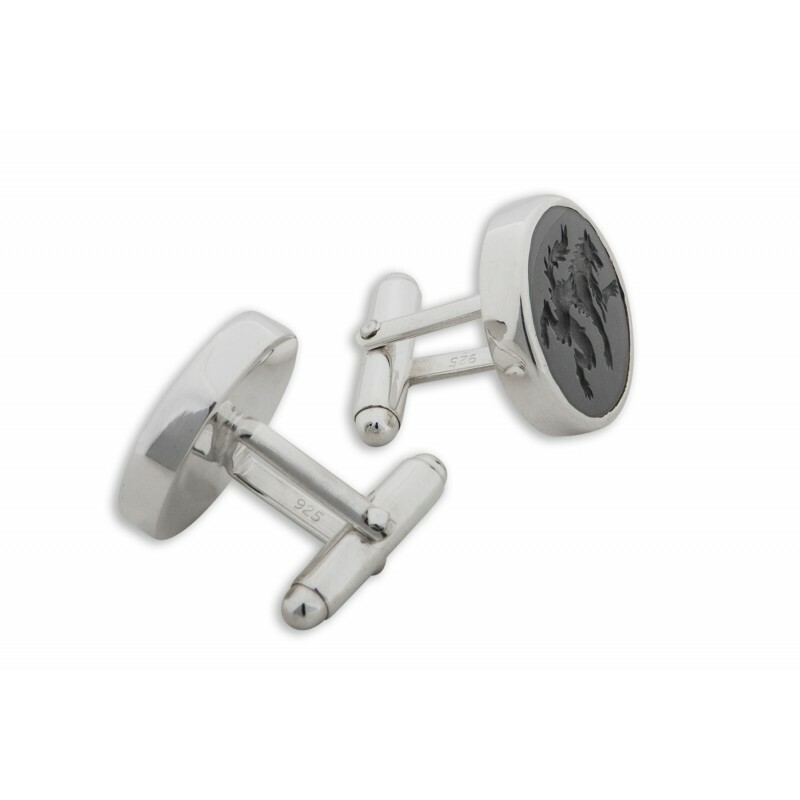 Please buy these wolf black onyx cufflinks now.